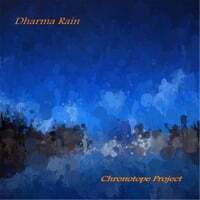 Chronotope Project | Contemplative Electronic Art Music | Reviews : Dharma Rain album receives stunning reviews! Dharma Rain album receives stunning reviews! This stunning triptych builds on the style cultivated in previous releases, layering scintillating electronic sequences, lush atmospheric pads, gently percolating percussion and long lyrical melodic lines into an integral whole. The themes of all three tracks marry seminal concepts in physics, cosmology and spirituality.